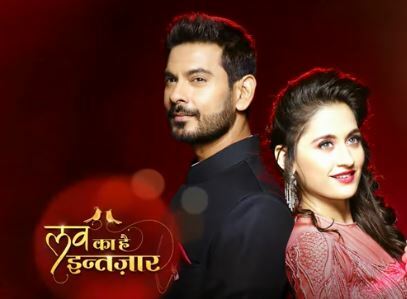 Star Plus Dopahar added a new show Love Ka Hai Intezaar, starring Sanjeeda Sheikh and Keith Sequeira. The show is a love story of a Bollywood star Kamini Mathur and a Rajasthani Prince Madhav Singh Ranawat. It brings an eternal love story of Madhav and Kamini. Madhav is already married to Vijaylaxmi and has a daughter Madhavi, but feels his life is incomplete. He feels no love bond with his wife. Life gets Madhav to the point where he starts living his life with happiness and hope. He meets Kamini and falls in love with her. Madhav breaks his relationship’s truth to his mom, who is much against accepting an actress as her daughter in law. The royal family background strikes Madhav and Kamini’s love story. Kamini and Madhav, who keep their relation a secret, decide to reveal it to everyone. How Madhav and Kamini fight all obstacles and unite will be something interesting to watch. He is handsome, smart and a charming guy. He is much respected being a royal prince. He has many responsibilities on his shoulder. He has to keep his province happy, and also fulfill his duties towards his family. Madhav very well knows the expectations people hold. He is very simple and sensible, to realize that he can’t afford to do injustice with anyone. Being a righteous and trustworthy person, Madhav has always sacrificed his happiness to keep up the name and respect of his royal family. 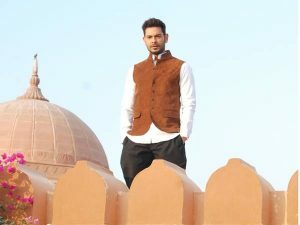 Madhav falls in love with Kamini. He sees a future with her. He doubts his mom will approve his relationship. He decides to divorce his wife Vijaylaxmi and marry Kamini. She is gorgeous, simple and a cheerful girl. She is a successful Bollywood actress. Her stunning looks are always complimented by her smile. She never worries for anything. She finds happiness around and likes to stay as an ordinary girl. She has no attitude and tantrums of a star. She loves to keep smiling and spread happiness. She does not accept any unethical thing. She has a strong personality. She dreams of a loving and caring husband. She meets Madhav and falls in love with him, knowing he is married and can’t guarantee her a relation of lifetime. Kamini enjoys the fans attention. The people gather near her car to get a glimpse of her. She is a superstar and yet much down to earth. She looks just a girl next door, much bubbly and enjoying every bit of life, tension free. Her dad goes to buy flowers. He gets pushed by crowd. Kamini gets down the car to run to her dad. She asks her fans to respect elderly people and be generous. She talks of being an ordinary simple girl and introduces her dad to her fans. More of Kamini’s family is shown. Her family looks very much simple, holding good values and traditional. Kamini congratulates her parents for their 25th wedding anniversary. She is proud to have loving and caring parents. She gets inspired seeing the lovely relation between her mom and dad. Kamini gets invited in a media baron’s party. She is given good publicity by the newspaper. She makes an appearance in the party to show gratitude. The media baron Suyyash tries to flirt with her. He introduces Kamini to his special guests. Suyyash tries to make his way with Kamini. She understands his intentions and slaps him right in front of his high profile guests. Kamini teaches him a lesson, without thinking of the consequences. Suyyash then plans to end supporting her with the positive publicity. He gets revengeful. He sets his team to find anything shocking about Kamini, that could defame her. Kamini does not regret to slap Suyyash. She continues her routine shoots and chilling out at home with family and friends. Suyyash does not sit quiet. He gets a hint about Kamini having a secret lover. He asks his staff to get to the roots of the matter and ruin Kamini. Kamini is seen talking to Madhav. They decide to meet up at his place, his ancestral royal palace. Kamini’s mom tries to know about Kamini’s lover. Kamini wins her trust by her sweet words. She promises to reveal her lover once she returns home. Kamini expects Madhav to take a stand for their relation in front of his mom. Kamini gets her mom’s blessings by Radha Krishna locket. Kamini’s mom makes her wear it. Kamini heads to meet her love, Madhav. Kamini meets Madhav. She surprises him. They have much romance, singing and dancing around in his province. Madhav explains Kamini about his helplessness. He tells her how important it is for him to be dutiful, as his people see his dad in him and he can’t back out from where he stands. He asks Kamini to give him some time and trust him. He waits for his mom to come back from London, so that he can talk about Kamini and his future. Kamini gets shattered when Madhav leaves her with a choice to either wait for him or leave from his life. Madhav reveals what Kamini means to him. Even Kamini can’t live without him. She decides to give Madhav some time to end the distance between their worlds. Suyyash asks his staff to find Kamini’s secret lover and also cancel the star of the year award, which they kept for Kamini. Madhav and Kamini spend good time together in middle of the desert. The sandstorm ruins their romance. Kamini’s locket falls. Madhav alerts her of the life threatening storm. He drops her to the car. He goes and finds the locket, risking his own life in the storm. Madhav makes a prayer for their love. He makes Kamini wear the locket back. They call for help. Next, Kamini is shown having relaxing happy time with Madhav at his palace. Suyyash tries all ways by sending reporters to find Kamini’s secret lover. A budding actor arrives at the newspaper office. He has some selfies taken along superstar Kamini. Reporter finds it an opportunity to make breaking news of Kamini’s affair with the budding actor. Reporter cleverly convinces the guy Rahul into linking his name with Kamini. Rahul wants some good publicity. He agrees to the offer. Madhav’s wife Vijaylaxmi comes in picture. Kamini gets upset, but agrees that Madhav has never hidden any truth from her. Vijaylaxmi is seen as a heartless and cunning woman, who can go to an extent to accomplish her wishes. She dominates the palace. Her commands are obeyed by everyone. Vijaylaxmi rules as the queen. She is unfortunate to not win Madhav’s love. Madhav gives an assurance to Kamini by gifting her a token of love. He makes her wear his ancestral ring, with a promise of marriage. They fail to check the newspaper, which has wrong things written about Kamini. Kamini then gets Madhav’s surprise when he takes her to the local market. Kamini’s bubbly side is seen again. She tries best to shed her superstar image. Madhav solves people’s problems with ease. Kamini feels proud of Madhav. Vijaylaxmi does not want Madhav to know about his mom’s arrival, so that the latter gets too angry to approve any of Madhav’s requests. Kamini and Madhav have some memorable moments. She leaves from his village. Kamini comes back home. She ignores work related things. Madhav’s mom comes home. Madhav tells her about his love for Kamini. His mom disapproves Kamini. She reminds him his duties towards the village and party. She asks Madhav to stand in elections. Madhav unwillingly agrees to contest in elections for his family respect’s sake. Madhav stays firm on his decision to divorce Vijaylaxmi and marry Kamini. The show serves some great visuals, locales and adorable scenes. Costumes are graceful and apt. Nothing is overdone in terms of visuals and sets. 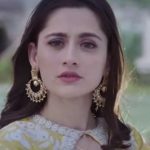 Sanjeeda as Kamini sometimes overdoes her part in her scenes. She is stunning in every frame. She is perfect for the character, having many shades. More of Kamini’s strength and determination will be seen. Her character seemed more fictional in the first episode. Thankfully, the show is not totally predictable. It presents some insight of media world and manipulations done at some levels. Keith playing Madhav is very much into the character. Keith proves his acting prowess with this role. Keith and Sanjeeda’s chemistry is a wonder factor. The background score and title song are good. USP of the show remains the intense characterizations of the leads. Story line is not something out of the box, still lovable. Dialogues and performances make the show different. The show offers clean entertainment. It has dose of romance, drama, fun and mystery. It is dramatic like a film. One would not regret watching the show. 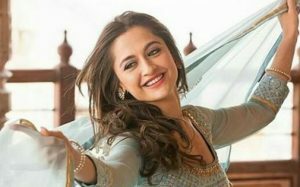 Sanjeeda’s stunning on screen presence and her chemistry with Keith will definitely win fan-ship. Yes is right .it shoul be 100% when it comes to rating is very good show so far the best one star plus got.